Théophile Lignelet is benefiting from Hermes Group’s « jeunes tanneurs (young tanners)» course. Following a 2 year initiation within tanneries, he should reach a position of high responsibility within the group. When in 2017, Hermes Precious Leather came to ITECH to present its « jeunes tanneurs (young tanners)» course to 3rd year students, Théophile immediately applied. After a 1st interview over the phone, the group then invited him to their production site in Le Mans for a trial day. As the sole candidate selected after a thorough screening, the young engineer now benefits from a novel pre-recruitment program that consist in an internship followed by 3 consecutive temporary contracts within the group’s tanneries in the space of 2 years. The aim: to discover the world of leather and acquire technical skills needed throughout all processes (tanning, dyeing, finishing). The course also allows to acquire a transversal vision of roles in quality and to prepare for managing and running a team. 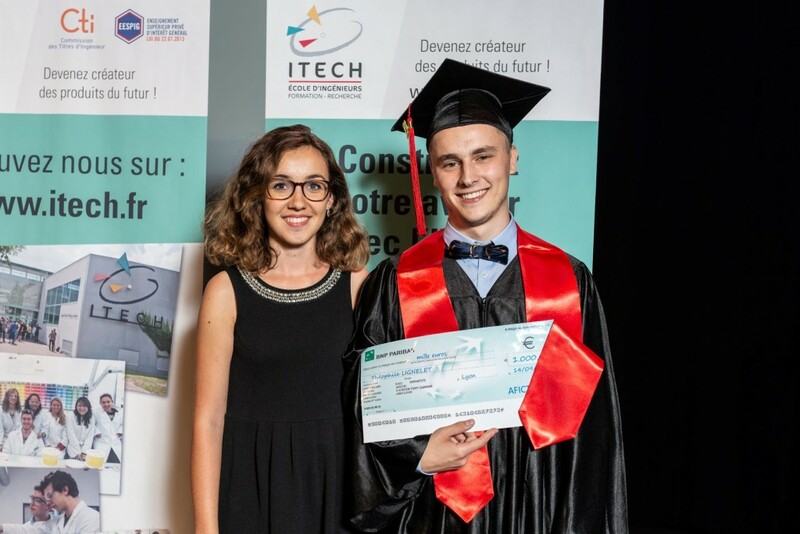 Thus between February and August 2018, Théophile undertook a final year internship at the Tanneries du Puy-en-Velay (Haute Loire): « I was in charge of adapting the tanning and re-tanning processes of a chrome-free tanning procedure ». Within this setting, he participated in the instalment and the implementation of a spectrophotometer. After this 1st internship which allowed him learn to undertake a project whilst being highly autonomous, Hermès offered him a first mission in the Tanneries d’Annonay which gave him the opportunity in getting acquainted with the development of new goods. Following the third mission, if all goes well, he will be recruited under a permanent contract in one of the group’s 6 tanneries. Théophile, an alumni of Rennes’ IUT of Chemistry, is an avid leather enthusiast since he’s already done several internships in this domain. The one in 2017 at the Tannerie de Périers (Manche) allowed him to get initiated with the transformation of crocodile and other reptile leathers: manufacturing procedures, characterisation of finishing solutions, formulating know-how with the building of a data base. After receiving a grant from “The Commission of Economic Development of the Leather Sector” for his illustrative path, Théophile was awarded the AFICTIC prize, which represents the engineers and technicians of the French leather industry, and which rewards the best final year internship at ITECH. As a 700 employee strong group specialised in providing leather for higher-end customers (leather goods, bootmakers, fashion houses), Hermès Precious Leather possesses an important know-how in the trading, tanning and finishing of exotic and calf skins. In order to prepare young engineers for technical management positions, the group has put together a “course” allowing them to quickly discover the world of leather and to accelerate their career prospectives.